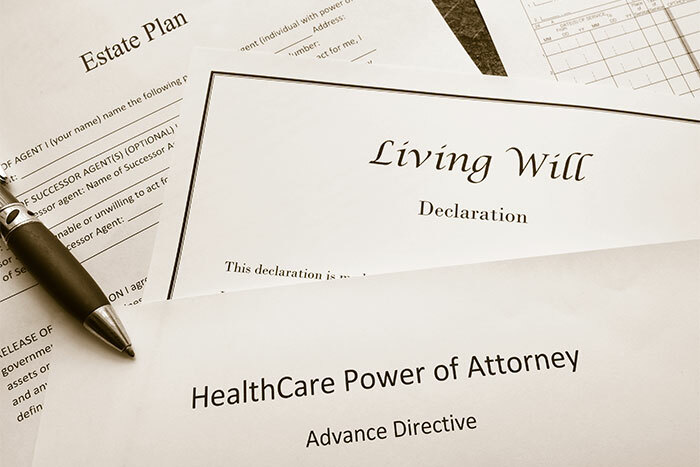 Many people may misunderstand the purpose of a Living Will, also known as an Advance Directive. If your response when asked about Living Wills is: "We have that under control. My sister gets the family china and I get mom's earrings." that is not the type of "Will" we're talking about. In the event of an accident, injury or illness, a Living Will can help speak for you when you cannot speak for yourself. It is a written legal document specifying your wishes regarding your medical treatment and end-of-life care in the event you cannot speak for yourself. No matter what your age, every adult should have a Living Will. Advance care planning starts with talking with your loved ones, your healthcare providers, and even your friends about your beliefs, values, and ultimately your healthcare wishes. These are important steps to making your wishes known. These conversations will relieve loved ones and healthcare providers of the need to guess what you would want if you are ever facing a healthcare or medical crisis. Decisions about end-of-life care are deeply personal and are based on your values and beliefs. Because it is impossible to foresee every type of circumstance or illness, it is essential to think in general about what is important to you. Conversations that focus on your wishes and beliefs will relieve loved ones and healthcare providers of the need to guess what you would want. Deciding what types of treatmentyou would, or would not want should you be diagnosed with a life-limiting illness. Designating someone you trust as your health care agent is an important step to take. Discuss your wishes with your family and choose the person who will ensure that your wishes are carried out even under difficult circumstances. Many find a peace of mind in knowing that their designated person will make decisions on their behalf and support their wishes. If the unexpected occurs, you will want your desires to be known. This is a very stressful time for your loved ones and a Living Will can save them from the burden of making health care decisions when they may have different opinions, be unaware of your wishes, and are expected to make decisions when they are emotional and least able to cope. Learn about options for end-of-life services and care. Implement plans to ensure wishes are honored. Voice decisions to family, friends and health care providers. To access a Living Will Form for New Jersey residents click here. Please note that this information is not a substitute for legal advice. While CaringInfo updates their information periodically, changes in the underlying law can affect how the form will operate in the event you lose the ability to make decisions for yourself. If you have any questions about how the form will help ensure your wishes are carried out, or if your wishes do not seem to fit with the form, you may wish to talk to your health care provider or an attorney with experience in drafting advance directives. Angelic Health provides comprehensive Palliative, Transitional, and Hospice care services to southern New Jersey patients, and professional support to their families. Our hospice is proud to be endorsed by the Accreditation Commission for Health Care (ACHC), which reflects our agency's dedication and commitment to meeting the standards that demonstrate a higher level of performance and patient care. Having a serious or chronic illness comes with many challenges. While your diagnosis is not your choice, how you live is. At Angelic Health we recognize that you are not your diagnosis. Our team of healthcare professionals customizes a care plan to meet your unique needs, one that will provide you with the best quality of life possible. Angelic Health supports patients and their families with clinical, social, spiritual, emotional and physical care. Patients can receive services wherever they call home—private residence, nursing facility, assisted living, or other facility. Our staff has been carefully selected for their professional skills, diverse backgrounds and compassionate demeanors. These are the people we would want to care for our loved ones.